I bought a bunch on lenses from an old collector year ago. He lived in California. Unfortunately he mailed the lenses in a box without much padding or thought to packing. There was so very nice lenses. Here is a pair that one got broke. I think they are fairly rare, but baked on paint on the outside of the lense. Any info on the company? What size are they. Cool lens. 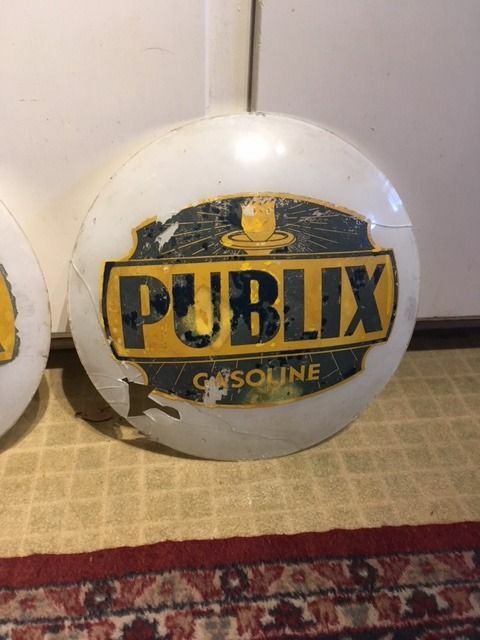 Publix is a large grocery chain in the south. Has to be the same company. I sure don't know a lot about them, but they are a very big company. Kevin is correct ever where they have a Kroger store Publix builds a store next door or as close as possible.Three big chains are all that exist add Walmart. 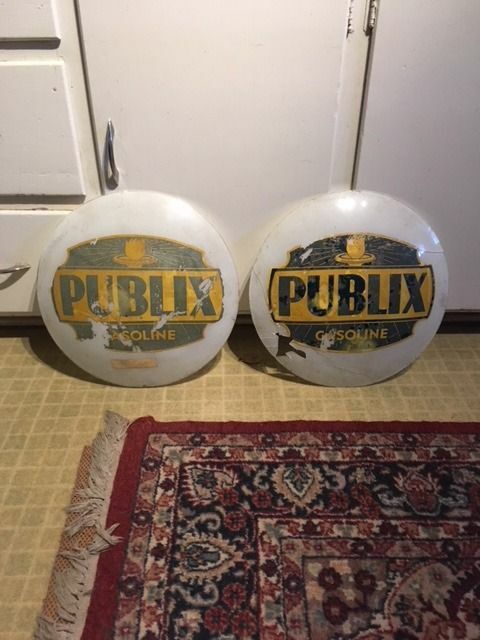 Not saying there isn't any but I've never known or seen a Publix to sell gas. I did a google search and found this image. An interesting globe. Cheers, Don. 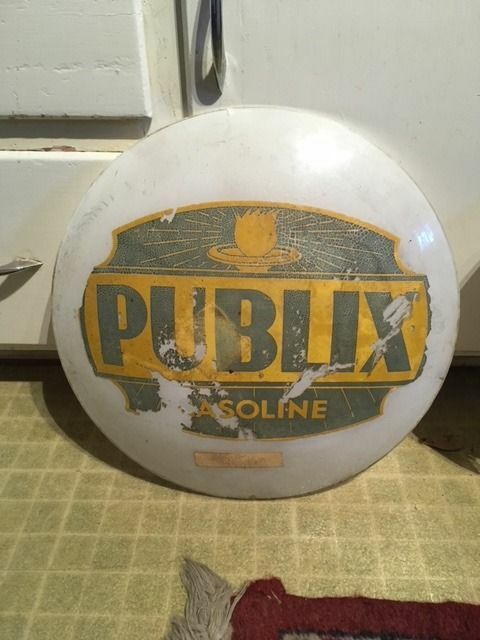 Publix Grocery chain was founded in FL. IN 1930. not a mention of ever selling gas except a notice they were selling 14 Pix convenience stores/ gas centers in Oct. 2013 to Circle K.. Eleven were in FL. two in GA. and one in TN. Was somewhat a test venture and they wanted to turn their full attention back to serving the public as a full time grocery chain. Maybe Scott or Wayne will chime in and be able to provide some info. Listed on page 592 of the Globe CD under "Valero and Affiliates: Valero Energy Company, San Antonio, TX"
This image is shown in with the Kettleman King and Beacon lenses.